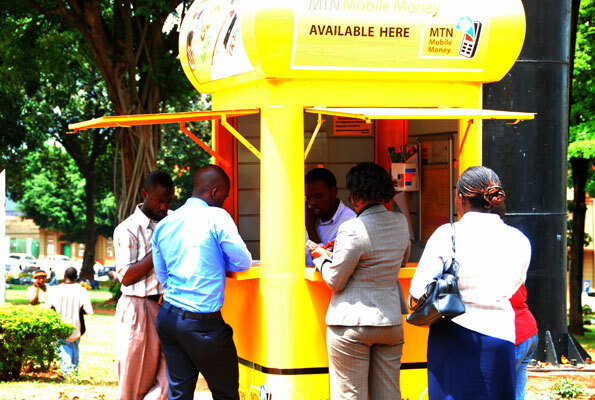 MTN mobile money agents from Eastern districts especially Kamuli, Kaliro,Mbale; Iganga and Bugiri have threatened to decampaign the company and entice customers to cross to its competitor airtel. On friday 11th Aug Kamuli agents demonstrated to the extent of some going to Kampala (headquaters) seeking for explanations to as why their last month (July) commission was was deducted by 50% without prior notification but instead only to be informed by officials that the move is bigger than what they (agents) think thus advising them to get back to work due to the fact that the company is beyond the level of being threatened. One of the agents said that previously the company first introduced a 10% float tariff without an explanation and now they have introduced a profit cut before explaining to them (agents). “Is it because MTN has more customers than any other company that it has to treat us like slave?, Some of our colleagues are suggesting that we begin decampaigning mtn before its customers since it is also mistreating us” one of the agent narrates. “Airtel has fewer customers compared to mtn but we operate in a better environment with them (airtel). For we are tired of working as slaves under MTN” He lamented. This is an addition to the many of MTN customers who accused it of theft especially in terms of internet data, airtime and other services. It should be noted that apparently Mtn is the leading mtn mobile telecommunication company in Uganda.